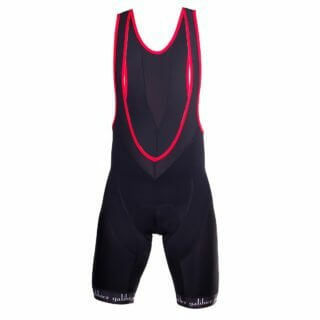 Low profile Speedsuit designed to perform in on the tarmac in fast air. 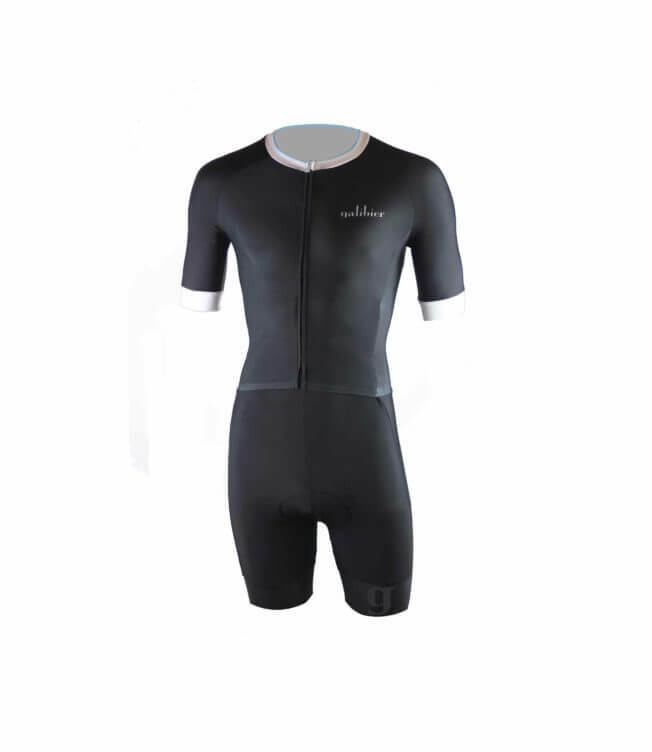 Rapide Noir Aerosuit delivers an aerodynamically superior speed suit that still offers the versatility of a jersey. We utilize 6 different high-stretch performance fabrics in the construction of this garment. The multi element fabrics has allowed the seams to be moved behind the shoulders, creating a smooth profile across the back of the jersey and ultimate comfort. 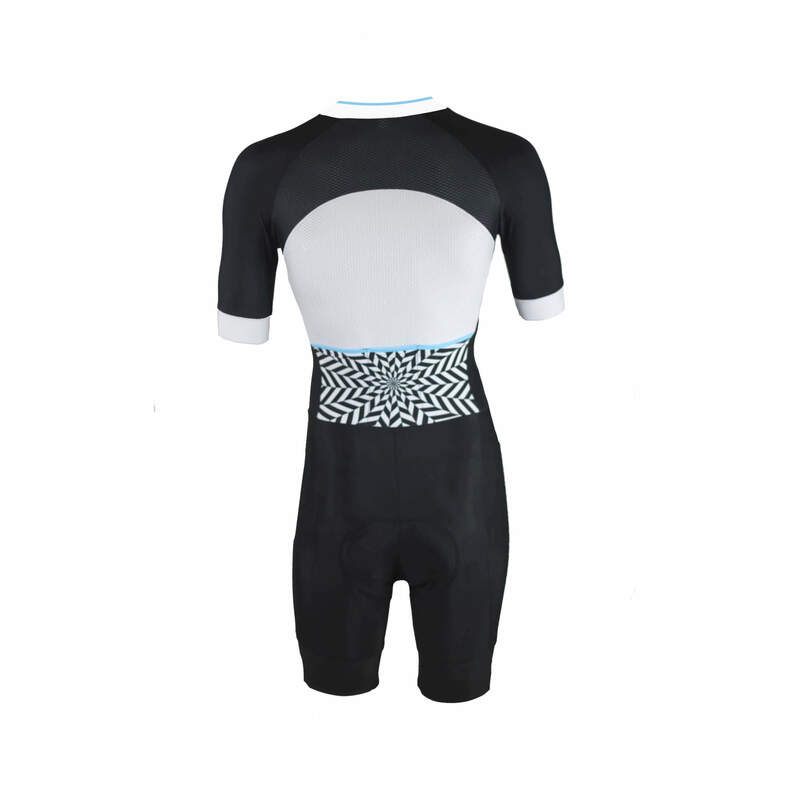 An aerosuit seeks to address the downsides of wearing a skinsuit for longer events by creating a more practical item of clothing while still retaining the aerodynamic advantage of a tight-fitting, one-piece suit. 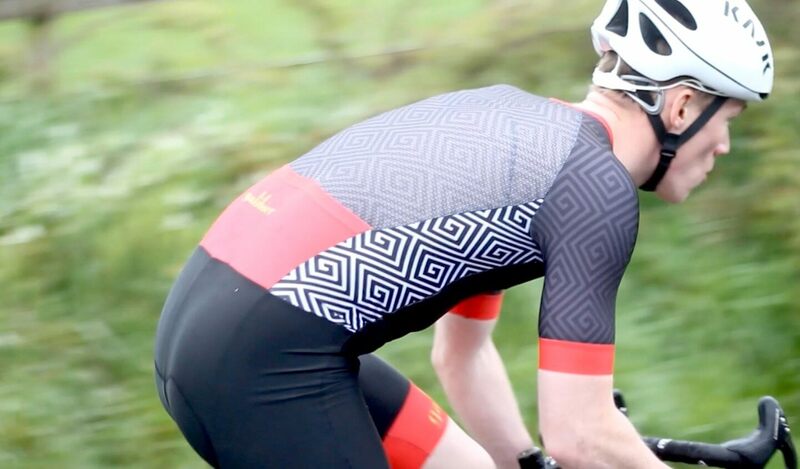 Our Rapide Aerosuits are a combination of our new race-fit jersey sewn to a pair of endurance racing shorts, negating the need for bib straps. This joining leaves the front quarter loose, just like a regular jersey, allowing more ventilation, and makes it considerably easier to get on and off. Practicality is increased by the addition of three, compact pockets at the back. 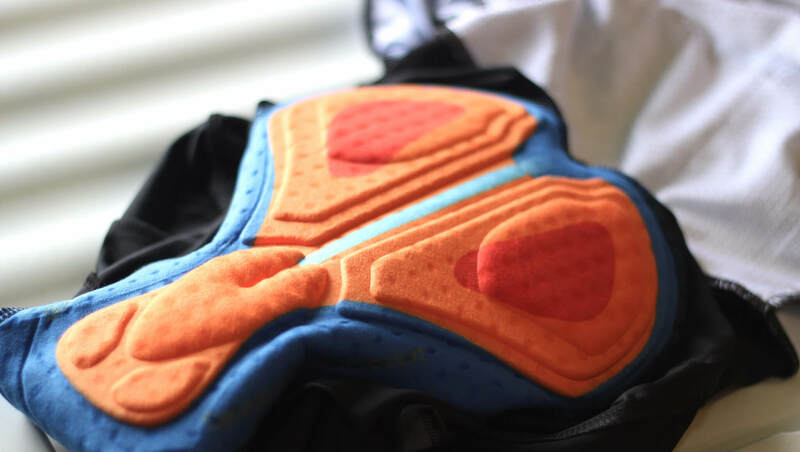 3D Endurance Coolmax pad features a twist gel core made of a silicone compound that consistently absorbs shock without losing its shape or elasticity, even after long hours in the saddle. The padded canal permits blood flow to penal tract. 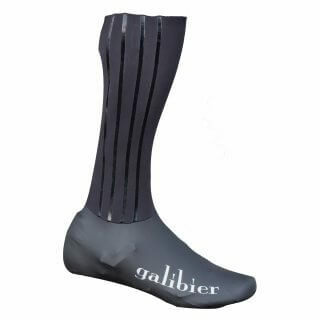 The seamless surface fabric eliminates abrasion and the low bulk construction moves and flexes with the body across the full range of cycling motion. Our blank and white combination is neutrally magnificent. We have used our trade mark graphic on the back pocket to keep the rider visible and our ‘g’ logo is watermarked on the new 70mm, razor edge leg gripper.